Sell-out campaign while stocks last! Ableton Live 9 Suite Upgrade from Live 9 Lite is a powerful DAW and music sequencer for MAC and PC with innovative real-time features, and incredible editing capabilities plus a huge library of sounds and instuments. Ableton Live 9 Suite Upgrade from Live 9 Lite is one of the stalwarts of music production software, and Suite 9 brings with it many new features and workflow enhancements. New features include Session View clip automation, a new comprehensive browser to find sounds faster, lots of new sounds with preset macro controls, and better effects including the new Glue compressor and EQ Eight. Significantly, a new pitch-to-MIDI engine also allows the extraction of MIDI data from harmonic, rhythmic and drum parts, while Max for Live programming environment is also now included with it's unique instruments, effects and tools. Suite 9 offers a variety of ways to manipulate your music - conventional "multi-track tape-recorder" type recording, where tracks are recorded in a linear fashion and the song runs sequentially through the track, and another more "on-the-fly" method of playback where clips are triggered, automatically timed, and looped over a number of bars. This clip-triggering method is great for live performance as well as studio production, allowing during-gig tweaks to your music, or even recording loops on the fly. There are a number of dedicated hardware controllers designed to control Ableton Suite 9 in this way, including the Ableton Push, AKAI APC products and Novation Launchpad, making Ableton Live a great tactile musical production environment. Included with Ableton Suite 9 is a huge selection of sounds, effects and virtual instruments. This can be expanded further with additional third party plugins and sounds, all of which can be manipulated via MIDI or by keyboard input with easy-to-assign controller mapping - simply set the global "learn" mode and make assignments instantly. Full automation and controller assignment over virtually every parameter in Live 9 give complete freedom to create interesting and polished results, now made even easier by the new clip automation feature. Considering purchasing the Ableton Live 9 Suite Upgrade from Live 9 Lite? Have questions? Ask people who've recently bought one. 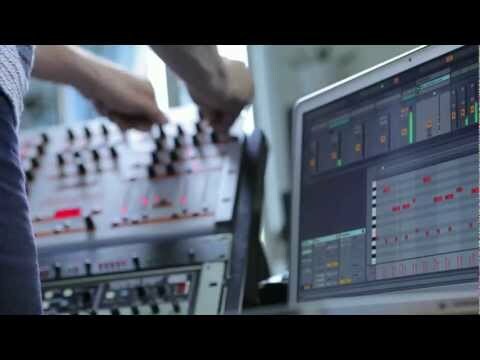 Do you own the Ableton Live 9 Suite Upgrade from Live 9 Lite? Why not write a review based on your experience with it. 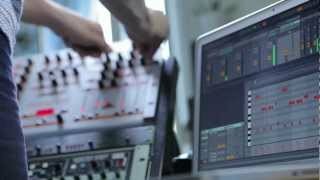 Seen a video for Ableton Live 9 Suite Upgrade from Live 9 Lite online or have you own video? You will earn 798 loyalty points with this product worth £2.00, when logged in. Check out Ableton Live 9 Suite Upgrade from Live 9 Lite on DJkit.com!